I totally understand all that you have said Felicia. Your family comes first and you should not feel guilty about neglecting your blog. In saying that, I am happy to see you back and that you have found your mojo again. 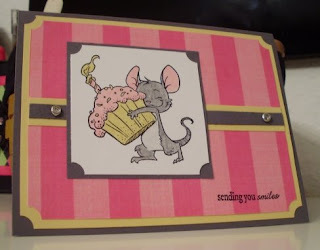 Love your cute little mousie card!